This badge was issued to Christopher Greene on 20 Dec 2017. 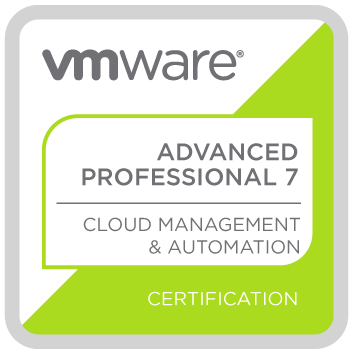 The VCAP7-CMA Design certification validates that a badge earner has the ability to design and integrate vRealize Automation 7.2 solutions within large enterprise environments. This industry-recognized certification improves your credibility among your peers and proves that you have a deep understanding of cloud management design principles and methodologies.